Happiness Surrounds! Stampin' Up! Artisan Blog Hop! Bonheur tout autour! 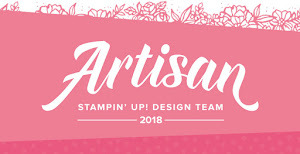 Hello and welcome for the second Stampin' Up! 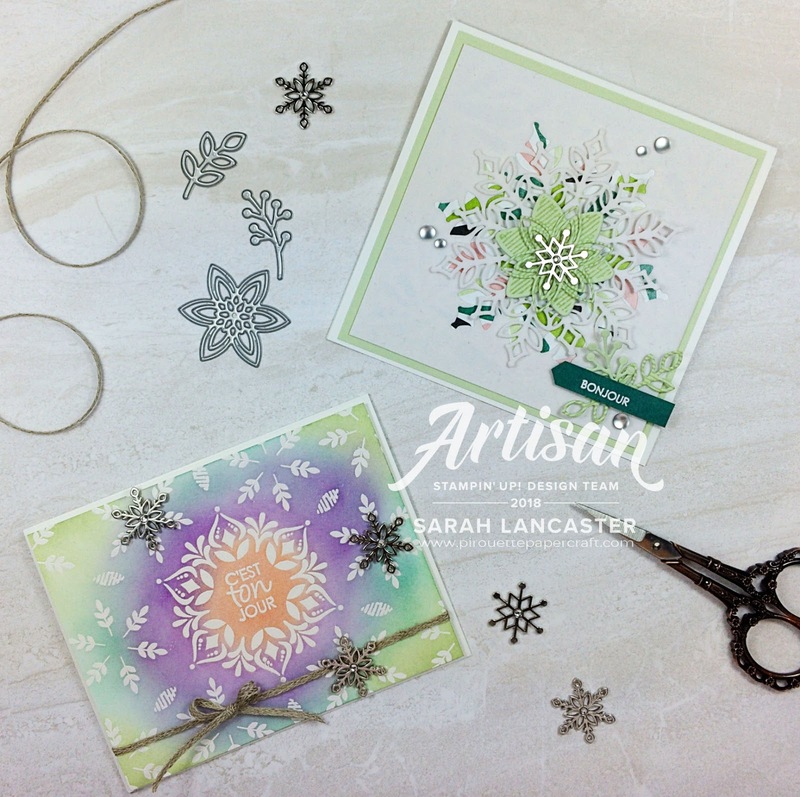 Artisan Blog Hop featuring the limited time products of the Snowflake Showcase suite. This time around I am focusing on the Happiness Surrounds (Bonheur tout autour) Stamp Set and the Snowfall Thinlit Dies. 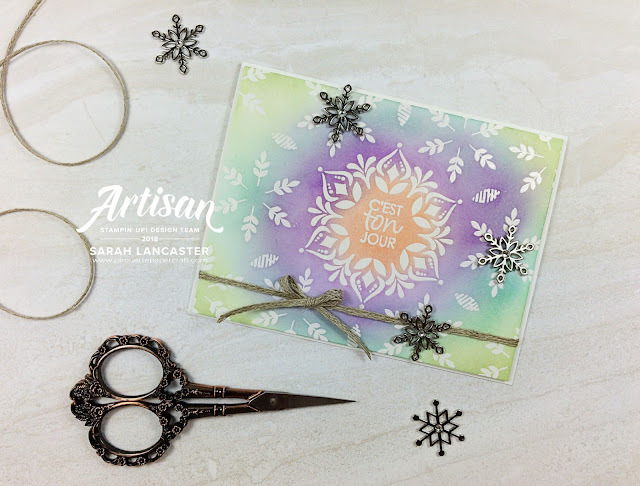 For the last blog hop the suite was only available to Demonstrators but now it's available to everyone, so my customers can pop on over to my Stampin' Up! online store and snap up these beautiful goodies. But they are only available for a limited time during the month of November 2018, so hurry, hurry, hurry!! Now let me explain my creations to you in more details. 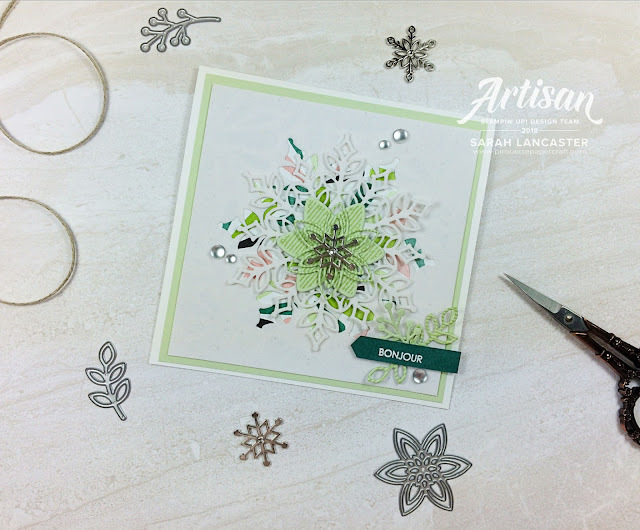 For my first creation I have used the White Velveteen Paper, die cut a snowflake, added some beautiful co-ordinating paper from the Tropical Escape suite and then reattached my snowflake but rotated it slightly. This means that you get a glimpse of that gorgeous DSP. Then I've stamped and die cut some co-ordinating shapes and added one of the amazing Snowflake Trinkets. I used Soft Sea Foam card stock to co-ordinate to the DSP. And of course I had to have some ink blending fun for my second card! Taking the large flower image, the smaller leaf image and the sentiment, I heat embossed these with white embossing powder using Versamark Ink. Then following the colours from my previous card, I chose Flirty Flamingo, Highland Heather, Coastal Cabana and Soft Sea Foam and I blended them in a circular motion using my Sponge Daubers. Some more Snowflake Trinkets and Linen ribbon finished off my creation. Lovely work Sarah! So fun to see these colors used with this set. Hugs. Your cards are like a spring! Beautiful and so fresh! How can I sign up to receive your blog posts? Love your work! Love what you are doing with color lately! Gorgeous cards Sarah!